Fish-Owl observatory is a facility, where endangered Blackston's Fish-Owls are observable in every night. 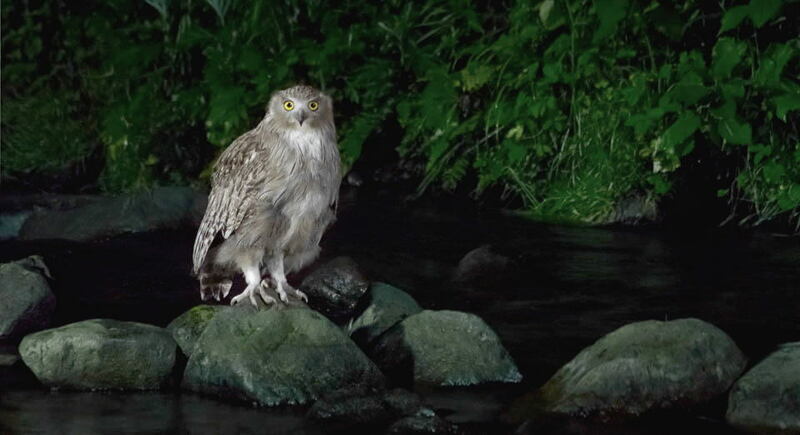 Setting a feeding pond and the special lighting system in a natural stream, visitors can observe and shoot pictures of a wild family of Fish-Owl year round. We also provide charter cruises for Brown Bear, Steller's Eagle, Orca and Sea-Birds to explore the nature of Shiretoko. These are exclusive long hours cruises with small number of passengers. If you are a serious photographer or naturalist, these cruises could a solution for you. 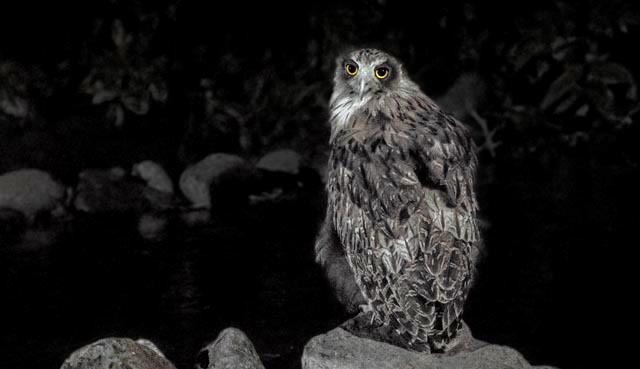 Observing a wild pair of Fish-Owl is essemtial to understand their unique behaviors and requrements to habitat. We are studying the method of feeding carefully not to destrube thier natural behaviors as much as possible. A well controlled observing facility contributes conservation of endangered Fish-Owl, keeping birdwatchers and photographers out from another natural habitat. We have developed a special lighting system, which is dark enough for owls but stop the motion blur of wing beat, to provide the best platform of photography. Social education always has an important role for conservation and recovery of endangered species. An experience of meeting a wild pair Fish-Owl will give visitors a clear vision for the habitat to be restored.